Once a woman approaches the age of 35 and above, there are certain changes she will start to experience in her body. Such changes also affect her hair. But i guess most of you are not aware that there are few and specific hair care tips for women that are 35 years and above. It is common knowledge that as we get older, our skin and hair start to lose their original health and glow. This happens because the healthy skin and hair cells start to die or their production rate slows down, and as a result, we can notice the signs of ageing on our skin and tresses. Also, the older we are, the more exposed we become to pollution. As the stress increases, we may not have the time to take care of our beauty like how we used to when we were younger. All of the above-mentioned factors and some more result in the deterioration of the radiance of our skin and hair. Avoid getting haircuts that make you look older, and stick to trendy hairstyles that are in vogue. If you see grey strands, ensure that you colour them with a colour lighter than your natural hair colour to give your tresses a stylish look. Hair care tips for women over the age of 30 also include going in for oil massages regularly in order to avoid age-related hair loss. Hair care tips for older women include having longer haircuts, as longer haircuts can give them a younger appearance. Hair care tips for women in their 30s include not pulling your hair back into a tight ponytail or a bun, as it may cause the hair to recede. 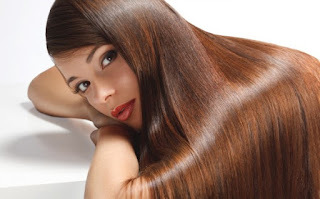 You can also get haircuts that feature bangs or fringes if you want to cover the wrinkles on your forehead, which is a best hair care tip for women in 30s. Hair care tips for older women include going in for hair spa treatments to deep-condition your hair, in order to avoid dryness. Do not try out radical hairstyles or strong hair products, as your hair is more prone to damage at your age. Hair care tips for women in their 30s include trying out anti-ageing hair packs and serums, using natural ingredients, which can be made at home easily! To avoid rapid greying of hair, ensure that you consume nutritious foods that can curb hair greying to give you a nice shinier mane. Tips for older women include covering your hair with a scarf while you are on the go, as your hair is more prone to get damaged due to all the pollution. Wear a hat or use hair serums with an SPF to protect your hair from sun rays and UV damage. This is one of the most important hair care tips that you need to follow if you are a woman in your 30s.